Thank You, - I should know - but now I see, this bird comes in many different appearances. What should I look for to help identify this bird in the future... is it the head shape and beak? Yeah, the beak color especially. 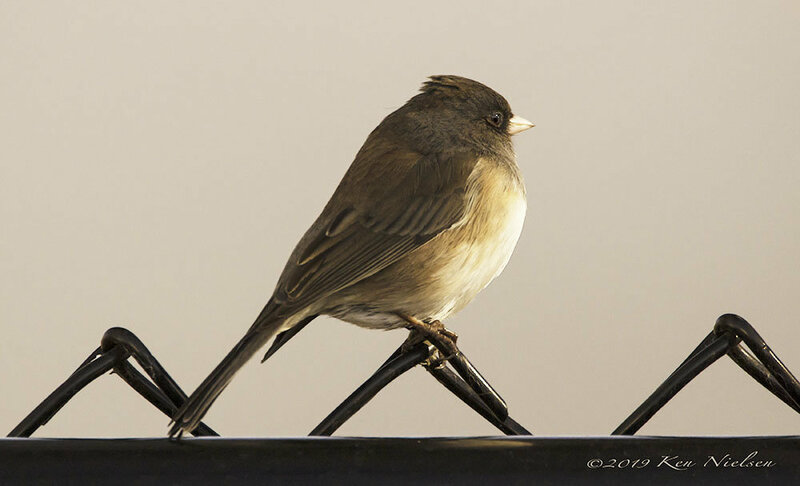 If you see a grayish sparrow with a white belly and a little pink beak, it's likely a Dark-eyed Junco. Towhees have longer tails and Spotted Towhees are more vibrantly colored. Towhees are also larger, so their heads are smaller in proportion to their bodies. Agreed! Aside from the bill shape/color, which is probably the best indicator, I think body size/proportions are a good clue. The Towhees I see are pretty hefty with a longer look to them including the neck & tail - almost robin-sized. Juncos are much smaller, usually have little to no neck and appear more ball-shaped (of course this depends on posture). Lastly, at least in my experience, adult Towhees vary in appearance very little (unlike Juncos) - they pretty much all look identical to me while Juncos are more unique from individual to individual.